On Grandma and Grandpa's farm, you never know what can happen next. There are horses, cows, sheep and, of course, there's a big red barn. Just get ready to milk your imagination. 26"x36" background, felt only (no cardboard backing). 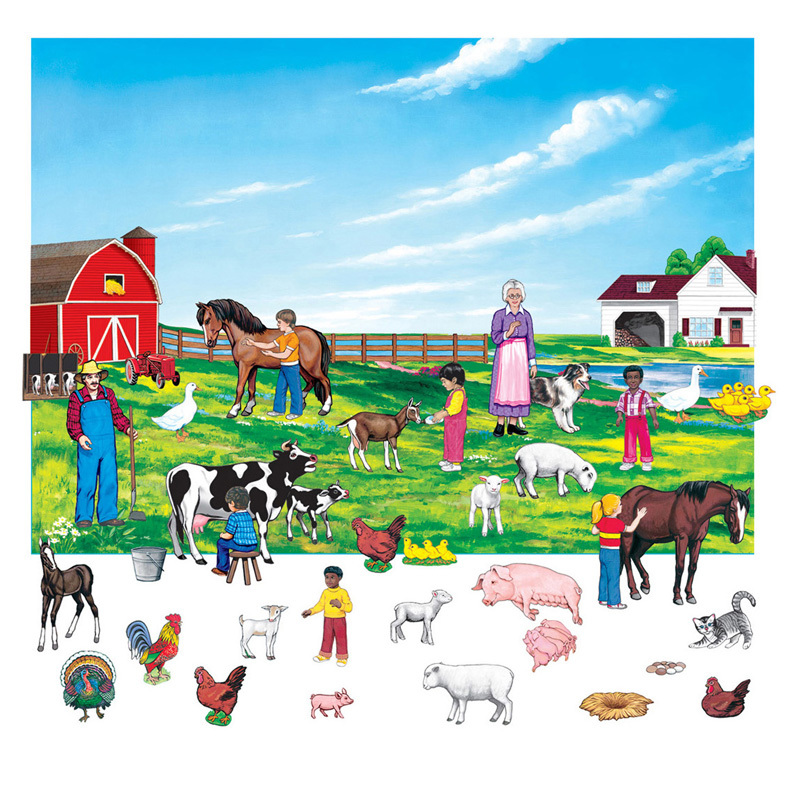 43 figures (6" tall): 25 farm animals and 6 children, barn doors that open to show milking station.